We’d love your help. 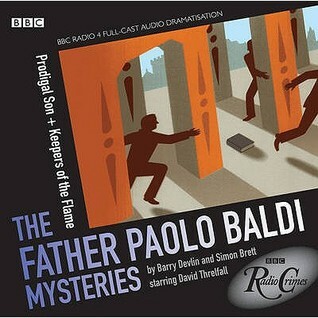 Let us know what’s wrong with this preview of The Father Paolo Baldi Mysteries by Barry Devlin. 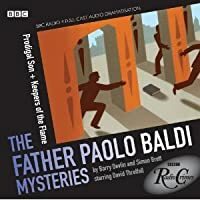 Prodigal Son by Barry Devlin: In the first of this murder mystery series set in Dublin, Paolo Baldi, Franciscan priest and philosophy lecturer, accidentaly becomes involved in solving a murder at an Italian chip shop. To ask other readers questions about The Father Paolo Baldi Mysteries, please sign up. In the first story, centred around the parable of the Prodigal Son, Paolo is brought in as a translator when an Italian shop owner is murdered in what looks like a robbery gone wrong and one of his sons is in the frame. While these aren't as fun as the Charles Paris series, I thoroughly enjoyed this, particularly the 2nd story with the wonderfully ecc In the first story, centred around the parable of the Prodigal Son, Paolo is brought in as a translator when an Italian shop owner is murdered in what looks like a robbery gone wrong and one of his sons is in the frame.